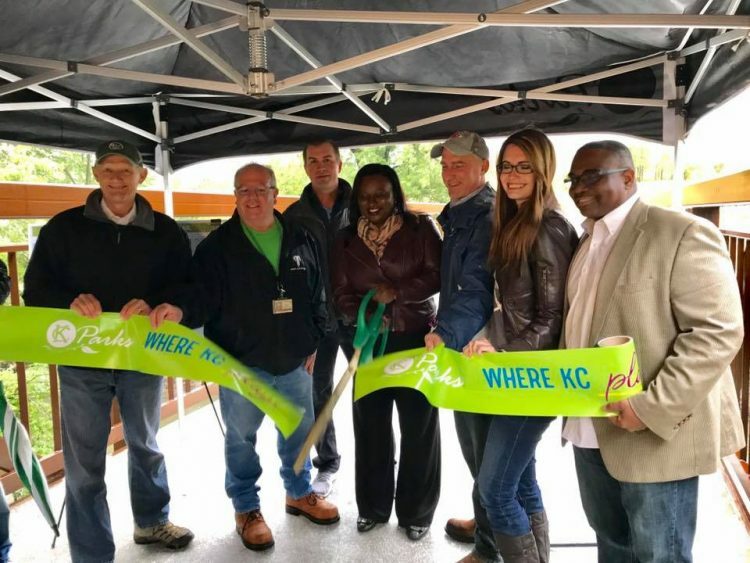 An enthusiastic crowd gathered in the rain to officially open the Brush Creek Confluence Trail and pedestrian bridge in Blue Banks Park on October 12. The 10′ wide concrete connector trail runs along Brush Creek between Cleaver II Blvd. and Colorado St. at the Blue River and enables residents to walk or ride from The Country Club Plaza to Swope Park. Future plans include an expansion to the stadiums and the Rock Island Trail. 3,138 linear feet of trail including a pedestrian bridge over the Brush Creek and a protective cover over the trail and under the Union Pacific Railroad Bridge. This trail project connects Brush Creek Trail, Cleaver II Trail, and the Blue River Trail. 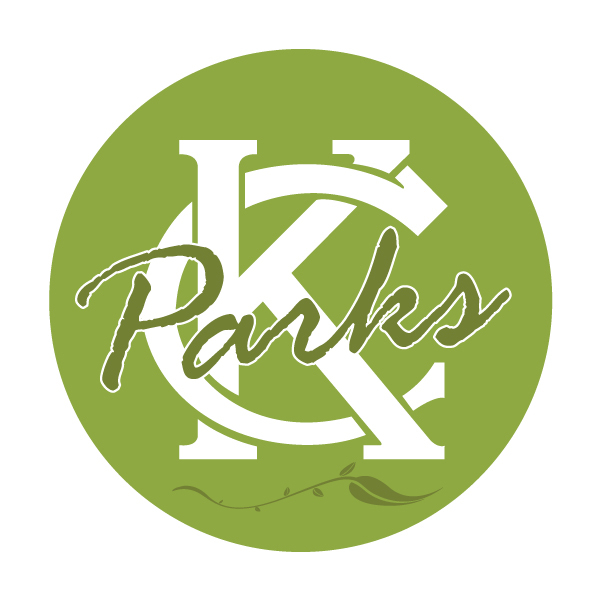 This trail connection allows residents a pedestrian corridor to travel to Swope Park, the Plaza, the VA Hospital, Vineyard Park, Blue Banks Park, restaurants in the area, businesses for employment, churches, opportunity to explore nature and most of all a similar trail amenity offered in other areas of the city. This section will remove current barriers of crossing the UP Railroad and Brush Creek by providing grade-separated crossings. Special thank you to Council District 3 and 5 for working together to remove this barrier and providing connection to existing and future amenities!